Welcome to Metz Fire & Rescue, your premier Canadian dealer for KME Fire-Rescue vehicles in Canada. Metz Fire & Rescue was founded in 1997 to provide high-quality fire and rescue equipment to Fire Departments and EMS services across Ontario, Canada. Today, we are dedicated to delivering high value, state of the art fire trucks to the Canadian marketplace. 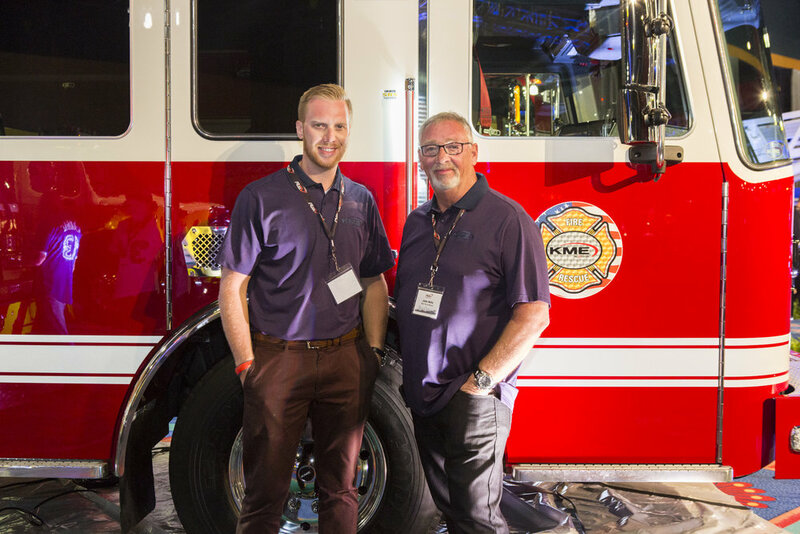 KME is a global leader in the supply of customized specialty fire-rescue trucks and is also a member of the Fire Apparatus Manufacturer's Association. Metz Fire & Rescue offers the complete line of KME Kovatch fire-rescue apparatus. Our vehicles are categorized as follows: Aerials, Pumpers, Tankers, Rescue and Wildland trucks. The experts at Metz Fire & Rescue will work with your fire department and/or municipality to find the right vehicle that meets your needs and budget. Our commitment is to ensure that your customer experience with buying any fire-rescue vehicle is a thorough and complete end to end process, from tender specifications to delivery. Excellent quality and a commitment to craftsmanship from a company, KME which has been in the fire-rescue business since 1946. KME engineers understand that customization is a key initiative to any fire-rescue vehicle, it must meet with you exact specifications. A vehicle that exceeds today’s safety standards. An Industry leading manufacturing processes gives your fire department a vehicle with the latest in technology and operational maneuverability that positions KME rescue trucks far ahead of the competition. Working in Partnership with C-Max Fire Solutions is a division of Weber's Fabricating Ltd. for complete Service and Maintenance in Ontario. Our customers often tell us that the thing they like most about working with Metz Fire & Rescue is we truly are a one-stop-shop, from purchase to service and maintenance. .
Metz Fire and Rescue’s mission is to deliver high value, state of the art fire trucks to the Canadian marketplace.